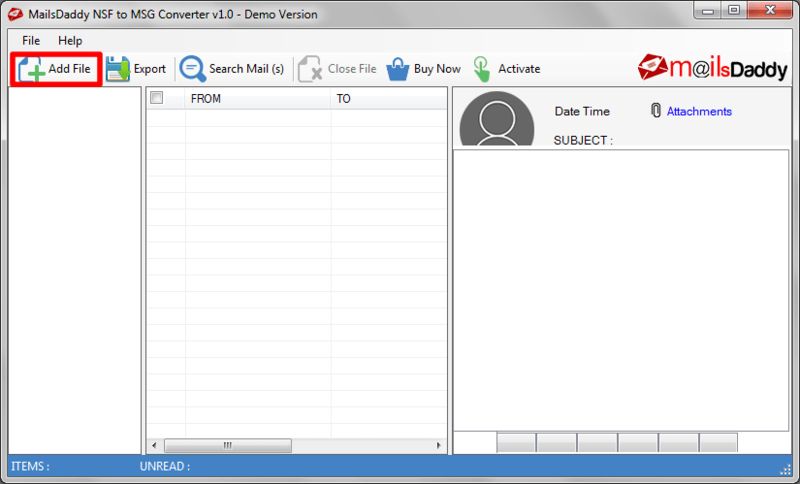 NSF to MSG Converter tool is a quite uncomplicated solution used to convert Lotus Notes NSF emails in Outlook MSG format. It supports mass Lotus Notes to MSG migration to open the MSG file in MS Outlook. Endorse the bulk and selective Lotus Notes to Outlook MSG migration. Conserves the metadata properties and inline images after the completion of NSF to MSG conversion. Software provides a “Date Range” Option to convert a specific time range data of Lotus Notes into MSG format. Preserves the folder hierarchy of NSF file in the MSG format after the migration. Export Lotus Notes emails to Outlook MSG format in a single click and provides a 100% safe and accurate Lotus Notes to MSG conversion result. Provides Naming Convention feature to save the MSG file according to the need. Lotus Notes to Outlook MSG converter tool is designed in such a manner that it generates a preview of the selected NSF email before the migration starts and also export all NSF email messages to MSG format at once. One by one Lotus Notes email message to Outlook MSG format is quite complicated approach to perform. 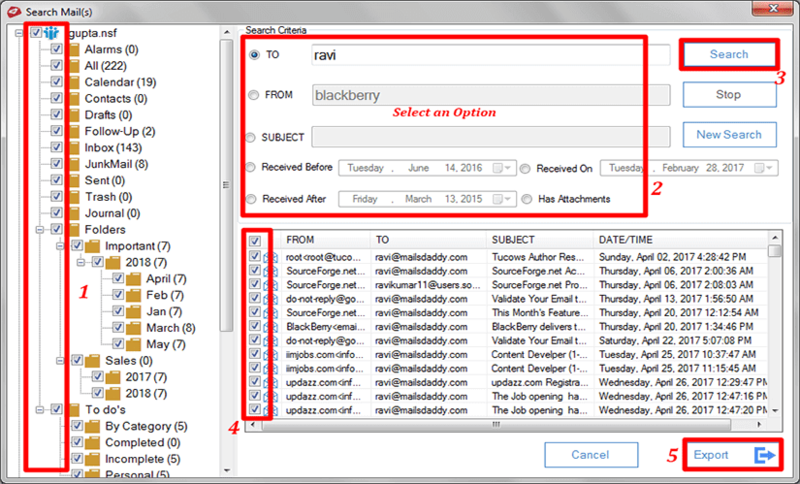 Hence, use this tool to do a batch migration of NSF messages file to Outlook MSG format. 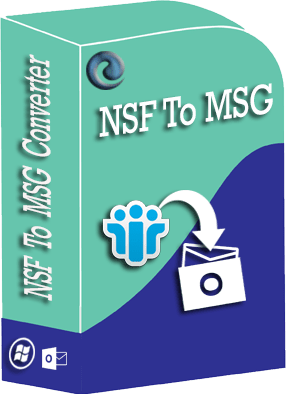 The tool is a multi-faceted solution for NSF to Outlook MSG conversion so if you have a large NSF file and wants to export only a specific amount of data then it help you in conversion of selective email messages from IBM Notes to MSG format. Domino Lotus Notes creates a “All Folder” by default in every NSF file which consume more space and takes more time in the NSF to MSG migration process. 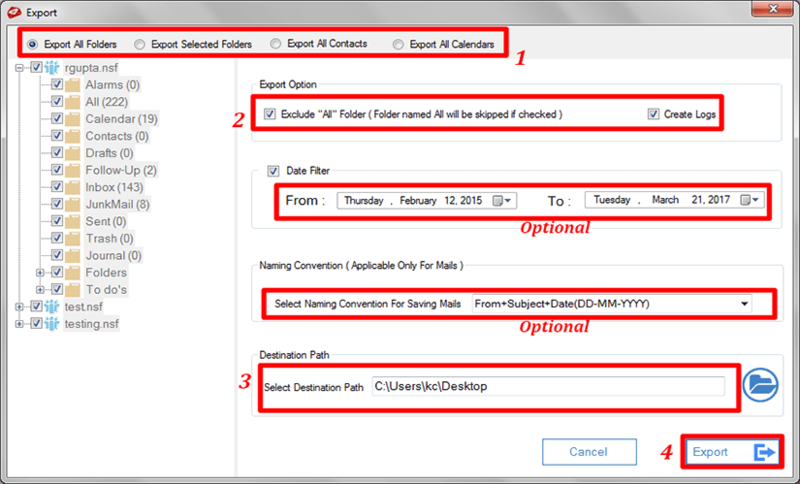 The tool come up with an exclude “All” Folder option to save the Lotus Notes email messages conversion process timing. If you want that folder then you need to uncheck the “All” Folder option. The tool keeps all the original HTML formatting, Metadata properties like To, from, attachments, subjects, header, footer information, of IBM Notes file in MSG file after the NSF email migration. The best and remarkable feature of the tool is naming convention which provides freedom to the user to choose a desired name from the naming options list provided in the Naming Convention section to save a MSG file. It is used to search the specific person or organization email to migrate it in MSG format and export that data from Lotus Notes to Thunderbird, Lotus Notes to Apple Mail or other various email platforms. The tool come up with an advanced “Date Filter” option for the Lotus Notes to Outlook MSG migration which helps the user to search the required IBM NSF email data stored within a NSF file by providing the “TO” and “From” date inputs in the Date Filter option. The NSF to MSG Migration software creates a log file of the process of NSF to MSG conversion at the user ends. All the information about the counts of items of each folder during the Lotus Notes to Outlook MSG migration is stored in this registry file . The Lotus Notes to MSG converter tool supports inline images, Doclinks, data integrity and also preserve them after the conversion of NSF files to Outlook MSG. The NSF to MSG converter is efficient and a great tool which converted my large NSF file email messages into Outlook messages very quickly and worked perfectly for me as I am a tyro user. A big Thank You for this. After searching for long time finally I got this prominent tool which helps me in the conversion of the Lotus Notes messages to outlook MSG format. It converted each email message of my NSF file. Its working made me full satisfied with this tool. 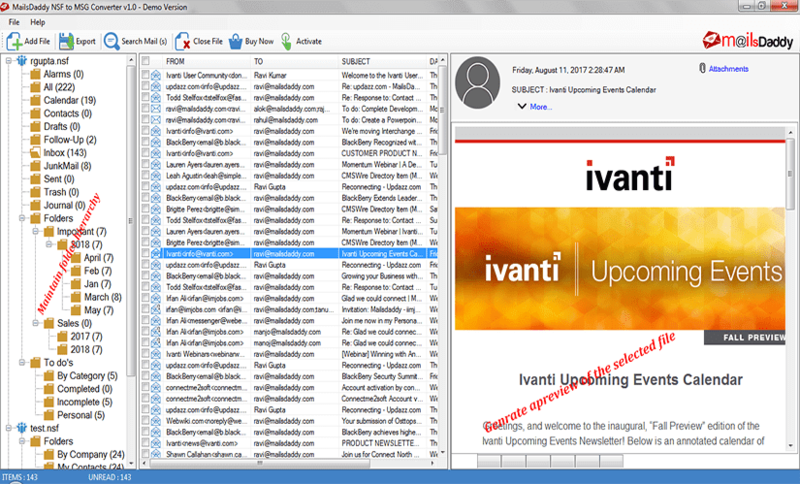 The tool played a pivot role in my NSF to outlook MSG conversion. The working of the tool is very simple and safe. The tool provided me a accurate data without losing a single email of NSF file. Thank you for making this superb tool. NSF to MSG Converter tool export Lotus Notes emails messages in Outlook MSG format at once in few clicks. It migrate the data with full data integrity.